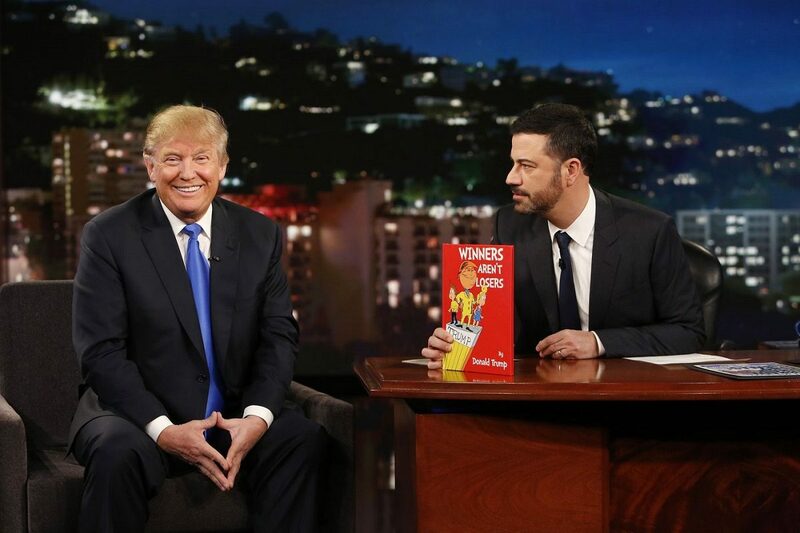 Jimmy Kimmel is an irate liberal who despises President Trump. The late night comedian’s show criticizes him every chance he can possibly get. And this new video went viral after he spewed some of the most hateful rhetoric you could ever imagine. None of this should surprise you at this point. Late night comics like Stephen Colbert, Jimmy Fallon, Conan O’Brien and Seth Meyers make their living bashing Trump on a nightly basis. It’s almost entirely what they do. But outside of their shows, sometimes they speak “privately” about how they really feel about our president. None of it is flattering. This is who Hollywood is nowadays. They still grasp for straws. Hollywood loves to harken back on Hillary Clinton being in power like it’s the glory days. It’s amazing to see liberal Hollywood elitists who still have no clue how Capitalism works. The free market was designed for this very reason. Keep in mind too that Fox revived The Last Man Standing. That’s the Tim Allen-led show about a conservative man living amongst his largely liberal family. It’s a funny show that was abruptly cancelled for seemingly no reason. So when Kimmel insinuates that Fox has no idea what they’re doing, he’s dead wrong. The Last Man Standing had great ratings. The Exorcist and Lucifer had mediocre ratings at best. That should never discount the other countless shows that have made Fox one of the biggest producers in the world. Have you ever heard of The Simpsons or Family Guy? This is nonsense. Some of the best television content has come out of Fox in the last few decades. Either Kimmel is intentionally divisive or just naïve. This is how out of touch Kimmel is. Roseanne was the biggest hit on television for a reason. It was America clapping back at Hollywood, in essence. We wanted to let Hollywood know that typical liberal propaganda is tired. It’s all they ever do. That’s why Roseanne was a breath of fresh air and the ratings show exactly that. Liberals love to insert Trump into the conversation any which way they can. What did he do this time? Apparently, the Fox and ABC merger has something to do with him. Don’t you see how desperate Hollywood elitists are to change the narrative? This shouldn’t be a surprise at all.